"Reminiscent of All Quiet on Western Front and The Red Badge of Courage . A breathtakingly original work." -- San Francisco Chronicle Twenty-eight-year-old Quan has been fighting for the Communist cause in North Vietnam for a decade. Filled with idealism and hope when he first left his village, he now spends his days and nights dodging stray bullets and bombs, foraging scraps of food to feed himself and his men. Quan seeks comfort in childhood memories as he tries to sort out his conflicting feelings of patriotism and disillusionment. Then, given the chance to return to his home, Quan undertakes a physical and mental journey that brings him face to face with figures from his past--his angry father, his childhood sweetheart, his boyhood friends now maimed or dead--and ultimately to the shattering reality that his innocence has been irretrievably lost in the wake of the war. In a voice both lyrical and stark, Duong Thu Huong, one of Vietnam's most beloved writers, powerfully conveys the conflict that spiritually destroyed her generation. 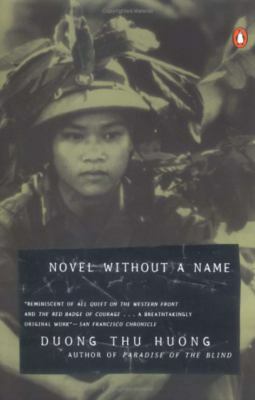 "If it is a crime to take an unflinching look at the reality of war and life under a totalitarian regime, and to do it with great art and mastery, then Duong Thu Huong, is gloriously guilty.
" -- The New York Times Book Review.